In this post we will tell you about how you can add Ufone settings to your BlackBerry smartphone. 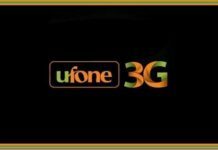 The post will help you set up internet on Ufone 4G LTE for smartphone including Blackberry Z10, 8520 curve 8520 9800 8900 9700 9900 q10 Bold Torch and other blackberry smartphones. Prepaid Internet settings for Ufone internet. First go to Settings, Network Connections, Mobile Network, Access Point Name (APN). Now enter username and password. If you want to add MMS settings to your blackberry smartphone, then do the following. First go to Message settings, Settings, Text messages, MMS, Advanced, and now enter your access point name and username and password. Next, add the following settings for Multimedia Messaging Services (MMSC) settings of your smartphone. Next, add the following settings for the blackberry postpaid ufone network. That’s it. 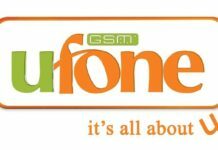 Now turn on the Ufone internet package and you will be able to browse internet from your smartphone. Make sure to read our post on Ufone Internet Packages for 3G and 4G users to find out the price of various packages and subscribe to an internet bundle.